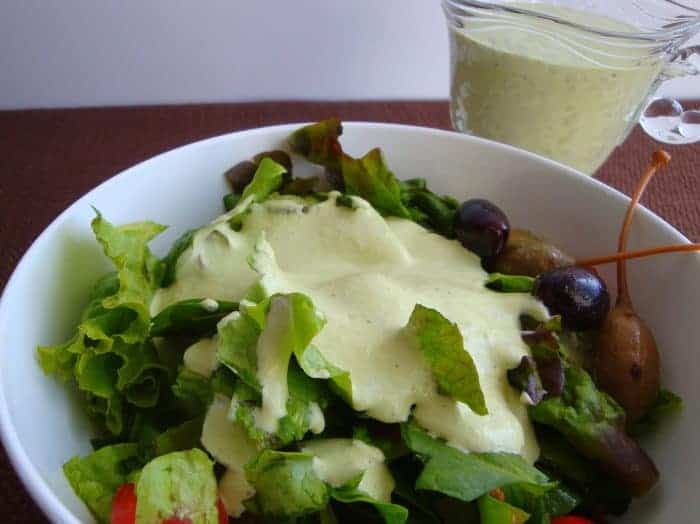 Lovely and creamy Green Goddess Salad Dressing was a big star of the early 70’s. And then ranch dressing and disco dancing came along and hustled her right out of the disco-ball spotlight. 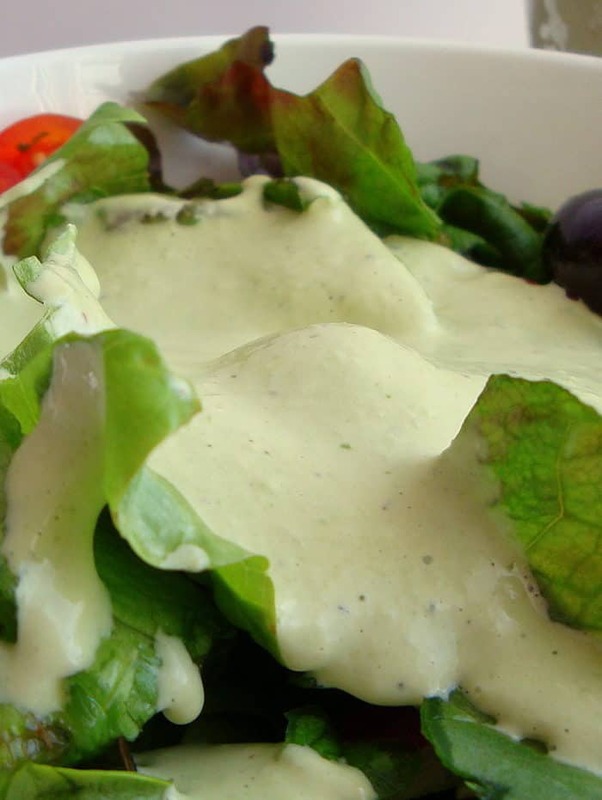 My grandma made the best salads back then with green goddess dressing. But she used a bottled version and added amazing ingredients to the salad, like dark greens, black olives, ripe tomatoes, marinated artichoke hearts, and avocados. I still use all these salad fixings, but after several tries and failings for a fresh dressing worthy of a goddess, I finally found this recipe on The Barefoot Contessa. I love Ina Garten’s show because she makes me feel like I’ve stopped by her kitchen for a visit and she has this amazing dish to share just with me. And this dressing has basil! My favorite herb. Let me tell you, this green beauty of a dressing is over-the-top on any salad. The subtle depth of flavor from anchovy paste and the tang of the fresh lemon juice bring it all together to compliment the basil. You and your grandma will love it. 1. Kosher salt is not as “salty” as table salt so adjust accordingly if you must use table salt. 2. Feel free to substitute 1/2 anchovy fillet for the anchovy paste. 3. If you can, make this the day before! The flavors continue to brighten and marry beautifully over time. I remember when you made this for a dinner you brought over. Amazing! I’m so glad to have the recipe now!